Do you have drain problems? Relax – Don’t Panic – Give us a call anytime and we will get your drain flowing right away. We can provide one hour emergency service or an appointment in a two hour window that fits your needs. We are drain cleaning experts. Have you ever flushed a toilet and had it overflow onto the floor? Have you ever taken a shower in 3″ of standing water? Slow moving or clogged drains are a real problem, but getting it fixed has never been easier. 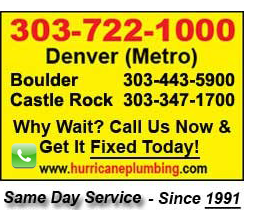 Hurricane Drain is your drain cleaning and drain repair expert. Call us today at 303-722-1000. 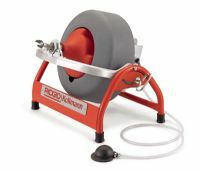 Different sized machines, cables and cutting blades are used to clear and clean each drain properly. After the line has been cleared using a mechanical cable method, you have the option of “hydro-scrubbing” the line with very high pressure water to remove soft build-up in the pipe (debris, grease, soap, etc.) and flushing it out of the drain line. Our technicians can visually inspect the various fixtures and drain pipes in your home or building. We will provide you with options for maintenance or repair that will help insure safety and a healthy environment for your home or building. 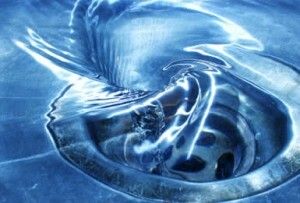 We are a full service drain (repair and replacement) contractor. Galvanized drain pipes, lead drain pipes, cast iron drain pipes, etc. may deteriorate because of normal wear and tear, and need replacement or modifications. We are equipped to make these repairs at any time.